Middletown police have filed charges against six men related to the Dec. 18 break-in at the Karns grocery store at 101 S. Union St.
Two men entered the Karns in Middletown, Pennsylvania, on Monday morning, Dec. 18, 2017, and took cigarettes. Cigarettes and cigars totaling $950 were taken from the store during the robbery, according to arrest papers police filed with District Judge David Judy. Five men conspired to commit the burglary, police said. Charged with committing the actual break-in was Dalton Kramer, 20, of the first block of Caravan Court in Middletown; Joseph Lonnie Lee, 19, of Hummelstown; and Tariq Jackson, 18, also of Hummelstown. Also charged were Ivan Fowler, 25, of the 200 block of Myers Lane in New Cumberland, whom police say drove the yellow Jeep that served as the get-away vehicle, and Frederick Lynn Maines, 22, of the 600 block of West Main Street in Hummelstown. Maines was a passenger in the front seat of Fowler’s vehicle. He told the three men who allegedly committed the burglary “where to go and what direction to leave,” police said. Maines used to live in Middletown and was familiar with the area, police said. Charged with receiving stolen property was George Anthony Spaseff, 19, who at the time was living in the 1200 block of Sand Beach Road in Hummelstown. 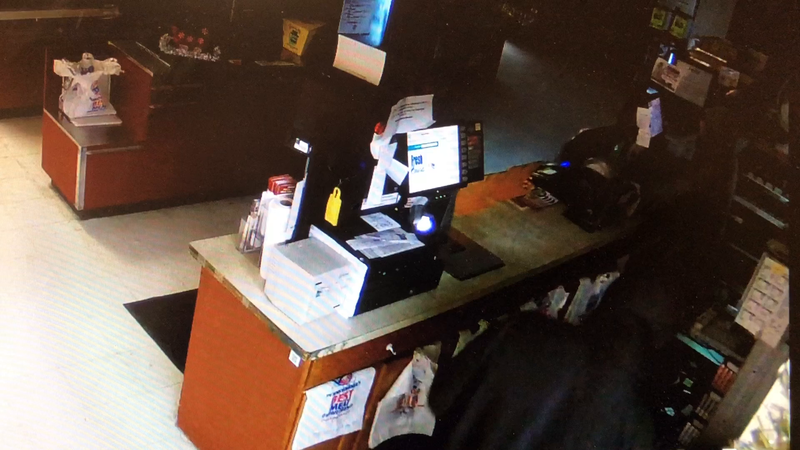 Police said that the five men involved in committing the burglary drove afterward to Spaseff’s residence and began dividing up the cigarettes and cigars that they had stolen from Karns. Spaseff was evicted shortly after Dec. 18 and is now in Lebanon County Prison after having been arrested and charged for an unrelated robbery, police said. Police said Jackson acted as the lookout while Lee and Kramer entered the Karns. Kramer used a tire iron from Fowler’s jeep to smash the glass panels of the rear exit doors to the store, police said. Police recovered the tire iron by the interior door after being dispatched to the scene by a store alarm just before 1 a.m. Damage to the store from breaking the glass was estimated at $1,135. Kramer and Lee entered the store, went to the customer service counter and started filling a backpack with the cigarettes and cigars. Kramer and Lee then left the store going through the same broken door panels they had used to get in, police said. Kramer cut his left leg as he was leaving and left blood on the broken glass, police said. Jackson, Kramer and Lee all ran west to the parking lot of the Westporte Center shopping center on West Main Street, where Fowler and Maines were waiting in the jeep, police said. Police said that they were contacted on Jan. 11 by a man who said his brother was a friend of Dalton Kramer. The man said that Kramer had been “bragging” that he had committed the Karns burglary and was trying to sell the cigarettes he had stolen. The man told police he recognized Kramer from the surveillance photos that had been made public after the burglary. He also showed police photos from Kramer’s Facebook page that matched the surveillance photos. Kramer was arraigned on Jan. 13 before District Judge Lowell A. Witmer and charged with burglary, theft by unlawful taking, and criminal mischief. He is being held in Dauphin County Prison on $25,000 unsecured bail. His preliminary hearing before Judy was scheduled for Jan. 22, but it was not held and has not yet been rescheduled. Jackson and Lee are both charged with conspiracy to commit burglary, burglary, theft by unlawful taking, criminal mischief, and criminal trespass-breaking into a structure. Jackson and Lee are being held in New Jersey after being arrested there for armed robbery, Middletown police said in arrest papers. Fowler was arraigned before Witmer on Jan. 15 and charged with burglary, conspiracy to commit burglary, theft by unlawful taking, criminal mischief, and criminal trespass-breaking into a structure. Fowler waived a Jan. 22 hearing before Judy and is to be arraigned on all charges in Dauphin County Court on April 6. Fowler was released after posting $20,000 unsecured bail. Maines was arraigned before Witmer on Jan. 15 and charged with conspiracy to commit burglary, burglary, theft by unlawful taking, criminal mischief, and criminal trespass-breaking into a structure. He was being held in Dauphin County Prison on $50,000 bail. His preliminary hearing before Judy was scheduled for Jan. 22, but it was not held and has not yet been rescheduled.